PT. 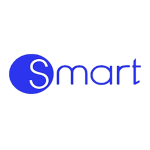 Smart Infinite is an IT Solutions company that based at Jakarta, Indonesia. We mainly focus on voice technology and provide solutions for Trading applications, Dealerboards, PBX, Contact Center & Voice Recording. At PT. Smart Infinite, we design, plan, and deliver solutions to exceed our customer’s expectation. We provide customized solutions and applications by integrating, collaborating between data and voice.